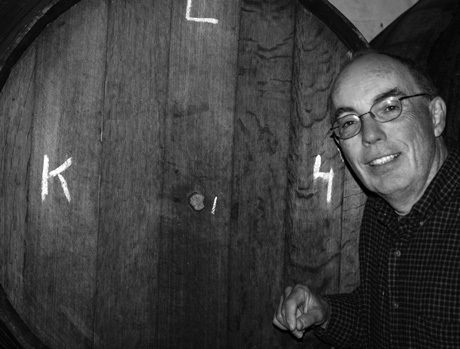 Today is fellow beer writer and blogger extraordinaire Stan Hieronymus’ 70th birthday — the Big 7-O. 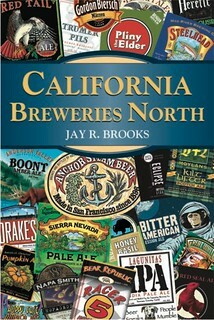 Stan’s most recent book is Brewing Local: American-Grown Beer, followed closely by For the Love of Hops and Brewing with Wheat, among many others. 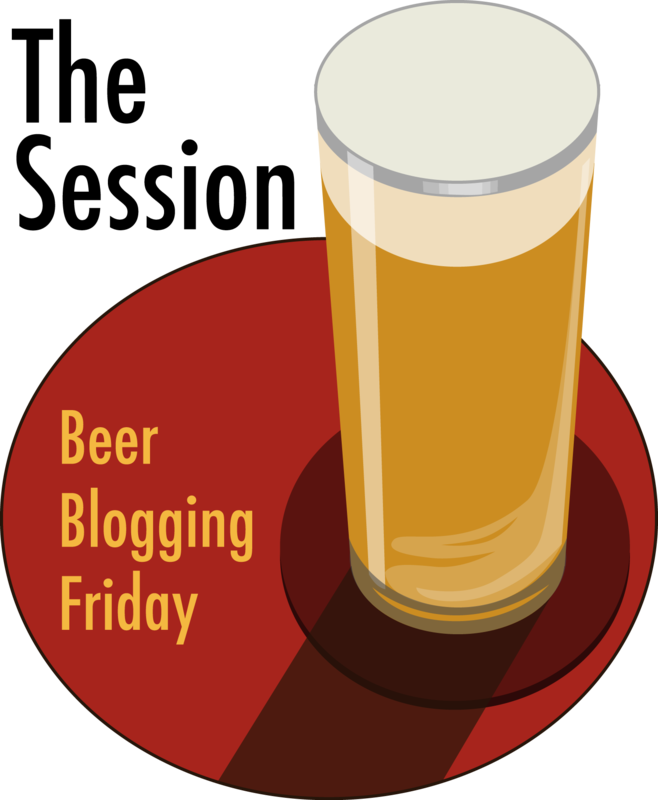 He recently moved to Atlanta, Georgia, where he continues to write the Real Beer blog, Beer Therapy, along with Appellation Beer, Beer Travelers, and Postcards from a Barstool, and Brew Like a Monk, the blog. Stan does not like being reminded of his birthday, so be sure to join me in wishing Stan a very happy birthday. Fearing I would run a ten-year old photo of him taken at the Seattle CBC, he sent me this one a couple of years ago. Here’s Stan at Cantillon in Brussels. Thanks, Stan, I like this one, too. 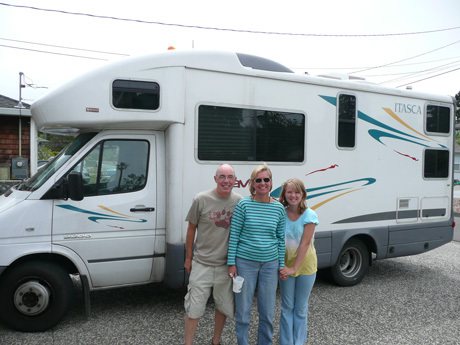 Stan and his family, Daria and Sierra, with their motorhome in our driveway during a brief visit during their trip. 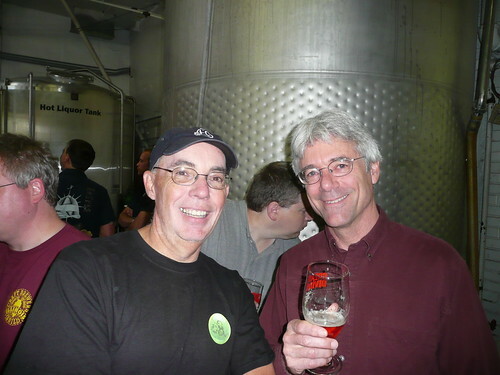 Stan with CCBA director Tom McCormick at Great Divide during GABF week 2009. 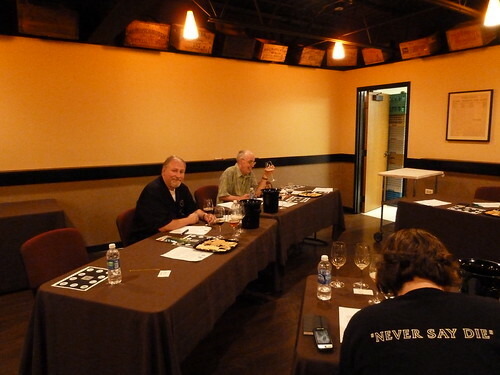 Me and Stan at the grueling World Beer Award judging session in Chicago a few years ago. 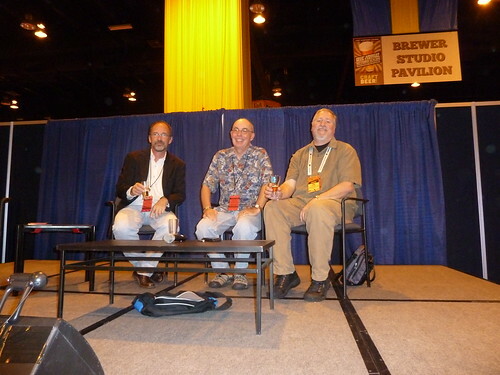 Daniel Bradford, Stan and me on a panel discussion at GABF a couple of years ago. Four out of Five, the Cilurzos and a Stan. 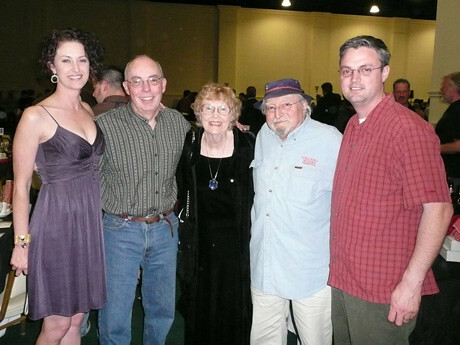 From Left: Natalie Cilurzo, Stan, Vinnie’s mother and father, and Vinnie Cilurzo at the World Beer Cup gala dinner in 2008. Each year, the beer is tapped at the very same time at locations around the world, regardless of times zone. 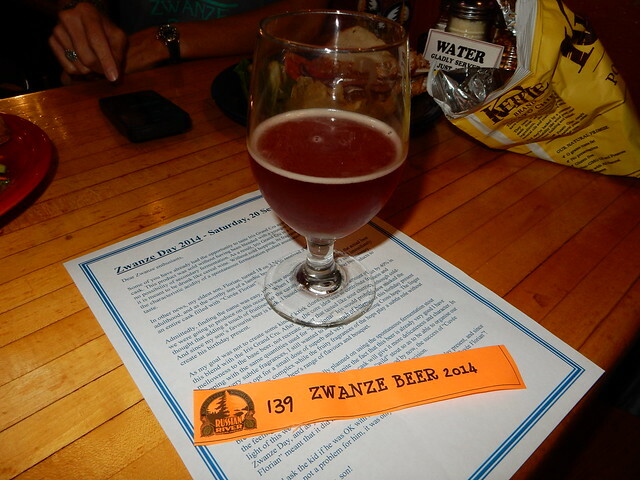 Once again, this year the Zwanze Day beer was available at 56 beer bars or breweries in seventeen countries. One of those was Russian River Brewing, one of my local breweries, so I again spent the morning there with owners Vinnie and Natalie Cilurzo. But before we get to the beer, here’s a little history of Zwanze Day. Belgium has essentially two separate regions, with the northern half known as Flanders. The language spoken there is a dialect of Dutch, known by the same name as the people of Flanders: Flemish. 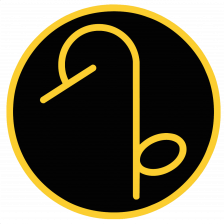 The word “zwanze” is unique to Flemish, has its origins in Yiddish, and essentially means a self-deprecating type of humor that’s typified by sharp-edged, playful jokes, usually good-natured. It’s said that this type of humor has become “a characteristic, defining trait” of the Flemish themselves, and for some a way of life. A “zwanze” is a joke, a “zwanzer” a joker. It was with that same playful spirit that Cantillon approached the concept of making a Zwanze beer. 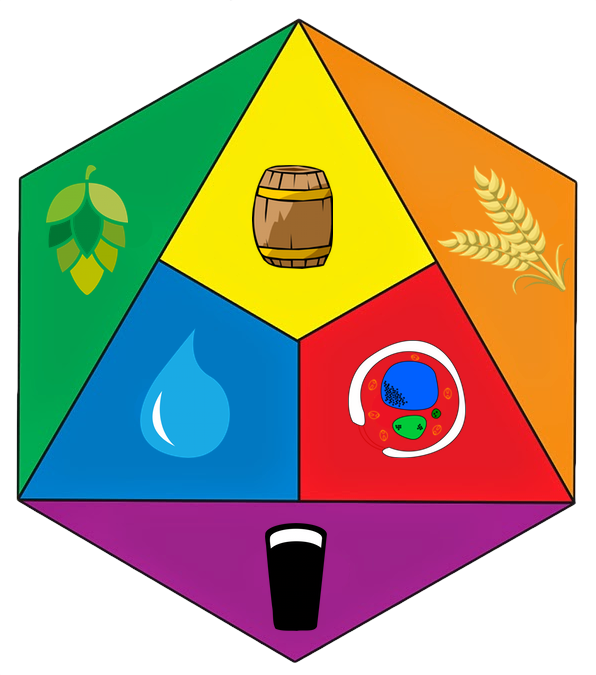 The goal was to create a fun beer; something a little unusual, using non-traditional ingredients. With its Zwanze 2015, in its own way Cantillon wanted to perpetuate this typically Belgian surrealist mindset. In doing so, a few changes were made to the recipe for a traditional stout. Specifically, I fermented some raw wheat to improve mellowness and enhance storage characteristics and did not use roasted barley to avoid further accentuating the dry aspect, which was already present as a result of spontaneous fermentation. 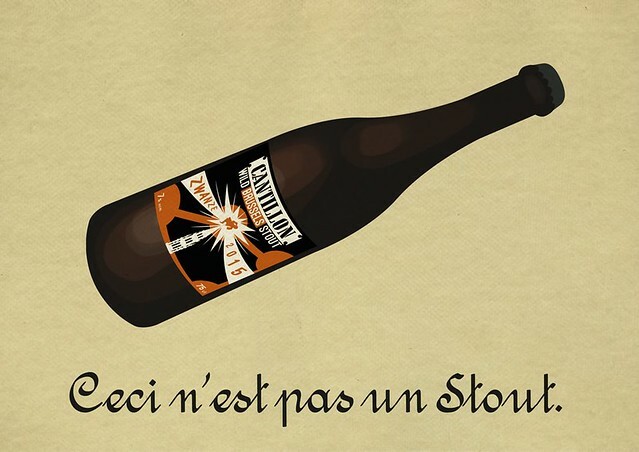 The recipe is that of a stout, the colour is that of a stout, and spontaneous fermentation followed by 28 months of maturing in a cask has given birth to a “surreal” stout. The dry and tart notes of a spontaneous fermentation beer combine with the roasted, slightly burnt and delicate chocolate flavours sometimes found in certain stouts. For the 28 months of maturing we used three types of casks: 50% of the casks had already contained lambic, 25% had already been used for CoÌ‚tes du RhoÌ‚ne wine and 25% had already been used for Cognac. Beers that have matured in old Cognac casks take up the warmth of the alcohol while those from casks having contained red wine adopt winey and fruity characteristics. This “wild” stout’s fruitiness and “cooked” side reveal rancio flavours that are characteristic of Madeira or Banyuls wines. People lined up to try the very limited release Zwanze, stretching about halfway down the block. 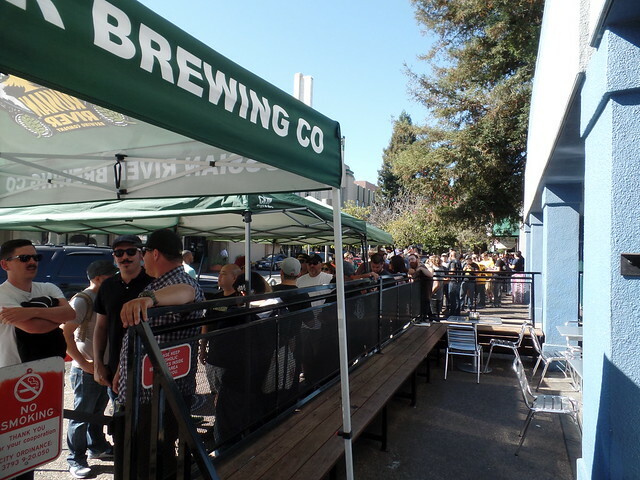 So not as crazy as for Pliny the Younger, but a respectable number of people, and enough that not everyone in line could be guaranteed a sample by around an hour before opening time. 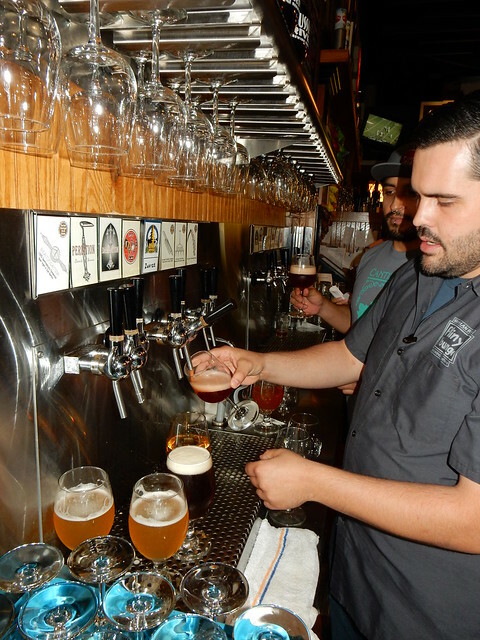 The doors to the brewpub opened at 11, an hour before the worldwide toast was to take place. 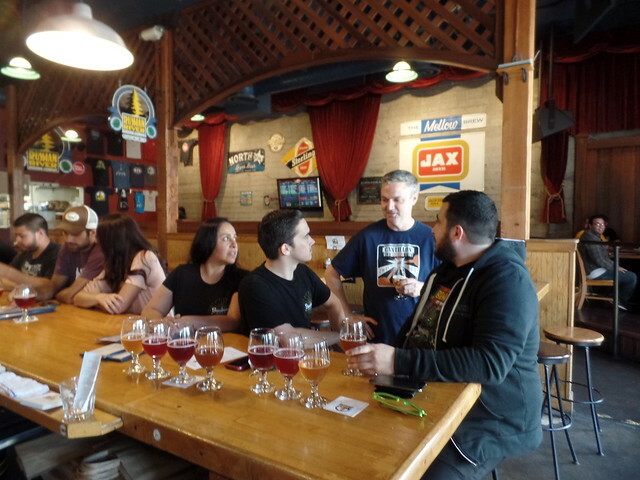 Four other beers from Cantillon were available on draft — Gueuze, Iris, Kriek and Rose de Gambrinus — so people had something to enjoy while they waited. And Vinnie greeted people as he walked around while people were seated. The first pour of this year’s Zwanze beer right at Noon. Followed by the first trays of Zwanze ready to be served. Vinnie and Natalie after giving the Zwanze Day toast. 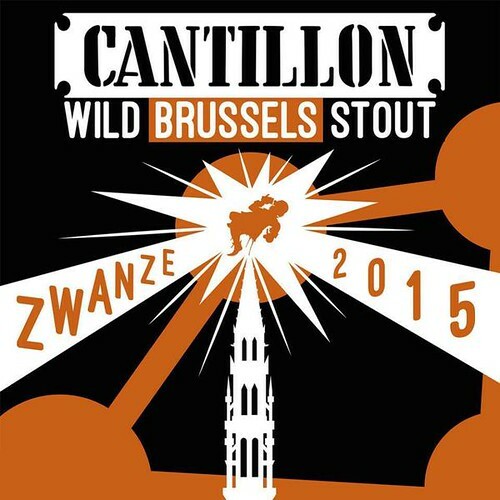 Yesterday was Zwanze Day, an annual holiday deliciously made up by Jean Van Roy of Brasserie Cantillon. Cantillon made the first Zwanze beer in 2008, which that year was a rhubarb beer. In subsequent years they’ve made beers with elderflowers, pineau d’aunis (a red wine grape) and a sour witbier, made with the traditional coriander and orange peel. This year’s beer, Cuvée Florian, is essentially Iris Grand Cru blended with cherries, a new version of a beer Van Roy made for his son to celebrate his 18th birthday. Each year, the beer is tapped at the very same time at locations around the world, regardless of times zone. 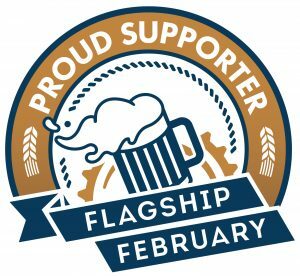 This year the Zwanze Day beer was available at 56 beer bars or breweries in sixteen countries. One of those was Russian River Brewing, one of my local breweries, so I spent the afternoon there with owners Vinnie and Natalie Cilurzo, along with Rich and Tammy Norgrove (owners of Bear Republic Brewing) and a few of their friends. Some of you have already had the opportunity to taste Iris Grand Cru aged 3 years in a 400-litre cask. This product was sold without having been blended with a younger beer and so there was no possibility of secondary fermentation. As a result, Iris Grand Cru is a non-sparkling beer and it is meant to be drunk like cereal wine. Without cold hopping, its fragrances tend more towards the characteristic acidity of a spontaneous fermentation product associated with a slight caramel taste. In other news, my eldest son, Florian, turned 18 on 3 May. To duly celebrate his transition to adulthood, and as the worthy son of a lambic brewer, Flo received a rather original birthday gift: an entire cask filled with “Cuvée Florian”. Admittedly, finding the name was easy, but it was another matter to come up with the actual beer we were going to produce on this occasion. When I first tasted the Iris Grand Cru, I immediately thought that adding a touch of fruitiness to the caramel accent could be very complementary. And since my son’s favourite beer is kriek, I based myself on a mix of these two products to create his birthday present. As my goal was not to create some kind of kriek clone, I reduced the amount of fruit by 40% in this blend with the Iris Grand Cru. After all, the core idea was to contribute fruitiness and mellowness to the base beer, not recreate a beer that tasted like sour cherries. Although cold-hopping with the same quantities used for “traditional” Iris would probably have masked the blend’s very subtle fragrances, I still wanted to add a touch of bitterness to this birthday present and decided to opt for a small dose of superb and very delicate Bramling Cross hops. The linger on the palate is very complex while the fruity fragrances of the hops play a subtle role without throwing off balance the beer’s range of flavours and bouquet. For this Zwanze 2014 I had originally planned on using the spontaneous fermentation stout brewed at the beginning of 2013, but despite the fact that this beer is already very good I have the feeling that another year of maturing in a cask will give it more delicateness and character. In light of this we needed another beer to replace our “wild” stout so as to be able to organise our Zwanze Day, and as you will undoubtedly have understood by now, the success of “Cuvée Florian” meant that it did not take very long for us to make a decision. I did ask the kid if he was OK with me making a new version of his birthday present, and since this was not a problem for him, it was only logical to call this Zwanze 2014 “Cuvée Florian”! 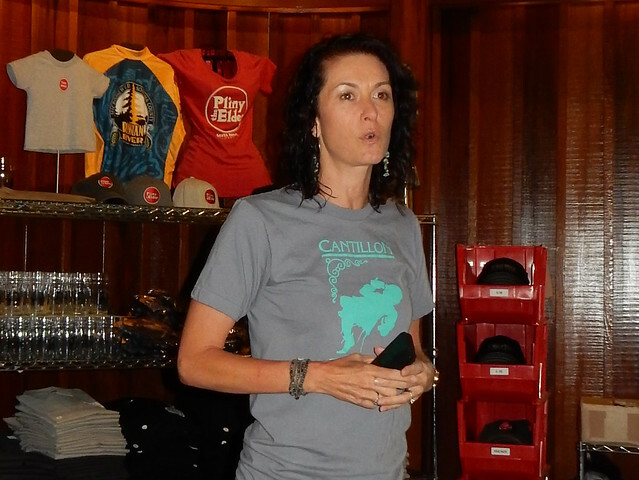 Natalie Cilurzo announcing that the Zwanze Day beer was tapped and explaining how each person would get their pour in an orderly fashion, in an effort to avoid the day devolving into chaos. Happily, everything ran smoothly. 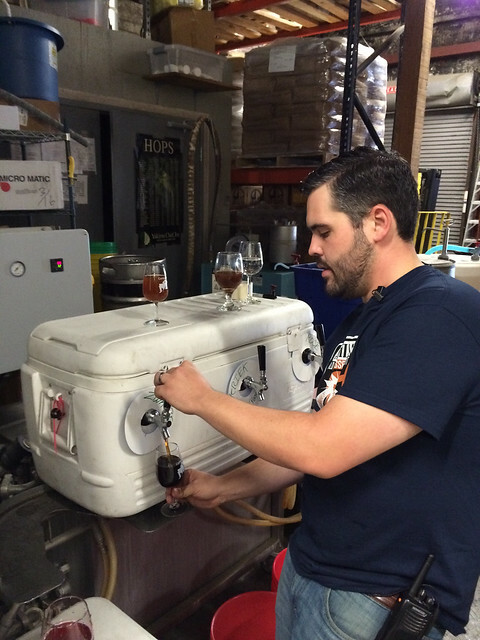 The first pour of Cuvée Florian for Zwanze Day 2014. In order to insure that everyone got a pour of the Cuvée Florian in the order that they arrived, Russian River handed out numbered tickets. Numbers 1 and 2 arrived at the brewpub last night, and closed the place, then waited at the door overnight to be first in line when they opened on Zwanze Day. 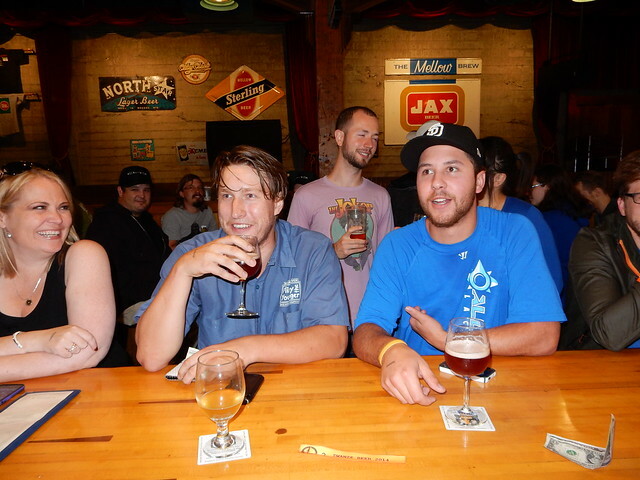 This is customers #1 and #2, Steven Weinschenk and his friend Tony Carvutto, for the Zwanze Day beer, Cuvée Florian. My pour. After the keg emptied, about an hour after it was tapped, kegs of Cantillon Gueuze and then Rosé de Gambrinus were tapped, too. 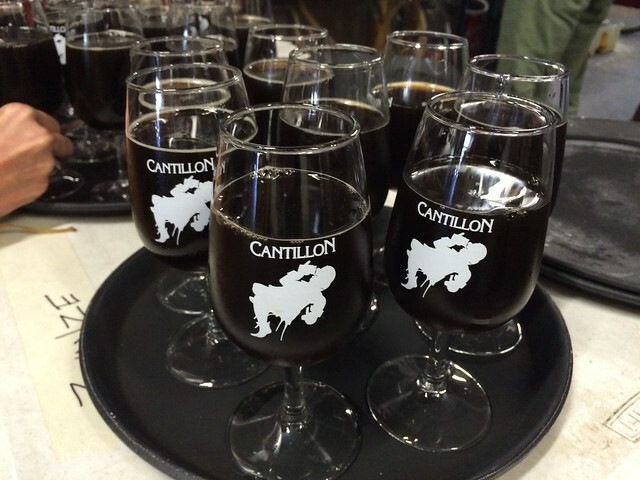 It’s always a great experience enjoying freshly tapped Cantillon. But they were also pouring aged Beatification, Russian River’s abbey double, which was tasting awesome. But I’m also really enjoying a couple of their new beers, Dribble Belt, a “hoppy session ale, and the STS Pils. 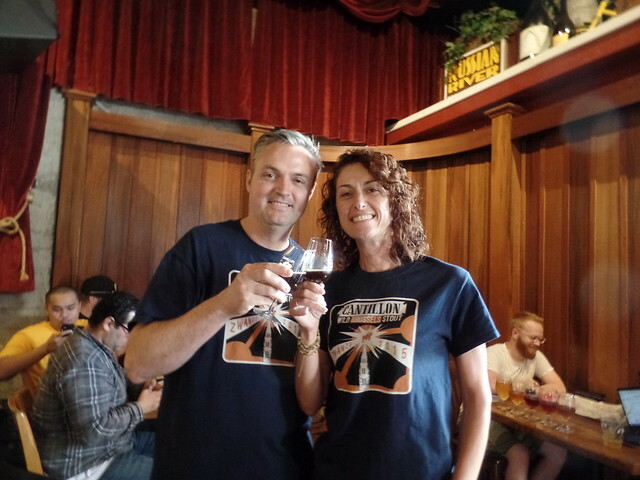 And finally, here’s a short video of the first pours of this year’s Zwanze Day beer, Cuvée Florian at Russian River. A special thanks to Vinnie and Natalie Cilurzo for their hospitality. Another fun Zwanze Day.